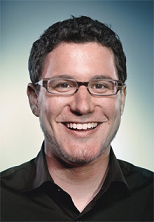 Eric Ries is an entrepreneur and investor from Silicon Valley and does a lot of consultancy for large companies. He is the developer of the popular Lean Startup method. He is a typical American technician. He doesn't look good, but if you give him a microphone and he starts talking about his favorite subject, he will scatter with one catchy anecdote after another. In his book, Eric Ries explains how he became a guru. Ries has been doing business since he was a student. As with any good American entrepreneur, he at first failed a great many times. According to Eric Ries, there is a whole industry around the myth that anyone with determination, intellect, good timing and above all a fantastic product can gain fame and wealth. The fact is that the majority of startups fail. According to Ries, the above story is therefore nonsense. After being an entrepreneur for ten years, Eric Ries has decided to reject this way of thinking. The boring things are the most important according to Ries. The success of my startup is not the result of good genes or being in the right place at the right time. Whether a startup will be successful depends on applying the right processes, which means that this can be learned, which in turn means that it can also be taught to others: The Lean Startup method was born. Of course you cannot become a guru without having achieved the necessary. In 2004 Ries (after 10 years of failed startups) founded the company IMVU. Instead of spending several years perfecting their technology, they wanted a product that was actually not viable. A product launched too early and that does not work properly. They supplied it to customers long before it was suitable for it, and also asked money for it. After the first customers were brought in, they constantly changed the product, far too quickly according to traditional standards, and they delivered several new versions of the product every day. IMVU is a community with avatars. You can chat with other people, play games, dress up your avatar, etc. If you see the product, then you understand that the product may have looked very different in the first instance. But by listening to the needs of the customer they have managed to create a virtual world that is fun (okay, that's not so difficult), but that also has a good business model attached to it, which means that 75 people can earn a living. The most important model that Eric Ries uses is the Build, Measure, Learn Cycle. The Lean Startup Method comes from the book The Lean Startup by Eric Ries from 2011.